Drinks that claim to be good for you may actually ruin your diet, according to Men's Health magazine. The publication listed the unhealthiest drinks, including a heavily advertised sports drink and smoothies from chains that market themselves to the health-conscious. 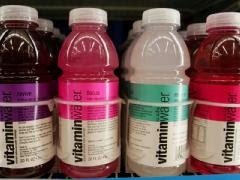 It named VitaminWater from Glaceua as the worst supposedly healthy drink. A 20-ounce bottle contains 130 calories and 33 grams of sugar. 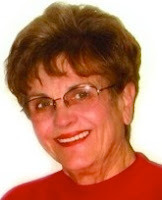 In a typical 2,000-calorie diet, that would be about 6.5 percent of the recommended amount. The drink contains as much sugar and calories as a can of Coke. Arizona Kiwi Strawberry was called the worst juice imposter, with 360 calories and 84 grams of sugar. At 99 cents for a 23.5-ounce can, it was called the cheapest source of empty calories in the country. The worst smoothie was Jamba Juice's Peanut Butter Moo'd Powder smoothie. It has 1,170 calories and 30 grams of fat (it has as much sugar as a bag of chocolate chips). A pina colada is the worst summer cocktail coming in at 625 calories and 75 grams of sugar. What is the worst drink in America? The award goes to Baskin Robbins' Large Heath Bar Shake. It has 2,310 calories and 108 grams of fat! Is there any wonder why we are experiencing an obesity epidemic in this country? A study from the University of North Carolina found that we consume 450 calories a day from beverages, nearly twice as many as 30 years ago! This increase amounts to an extra 23 pounds a year that we're forced to work off—or carry around with us. There’s good news and bad news when it comes to liquid calories. The bad news is they are the most difficult calories for us to gauge, because we have none of the greasy, cheesy visual cues we get when we go face-to-face with a plate of loaded nachos or a triple cheeseburger. The good news is that they are the easiest calories to cut from your diet. yeah. It's called believe none of the hype. Read the label. Anonymous - Jamba Juice's Peanut Butter Moo'd Smoothie is 1170 calories for the 30 ounce size. The 16 ounce size is 460 calories. You can check out the nutritional info here.